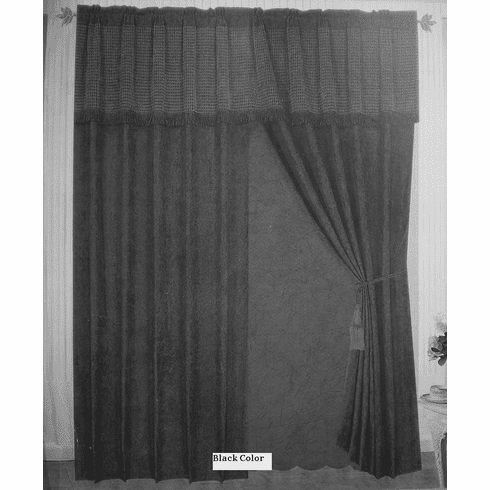 The nice windows curtain panels are made from micro suede. The valances are made from corduroy. A pair of windows curtain, total 120" wide, 84" long. THE COLOR IS BLACK. Machine washable, No bleach. See detail on insert card. Notes: The panels, valances and back linen are sewed together so only one curtain pod needed.